Do you ever find it hard to say no? I'm constantly being told by others that I make myself far too busy and need to start saying no more often. The hard part is WHO do you say no to? We decided on a family themed cake and, as much as I tried to come up with something original and cool, I couldn't get this amazing cake out of my head that we found on Google, it was definitely my friends favourite. 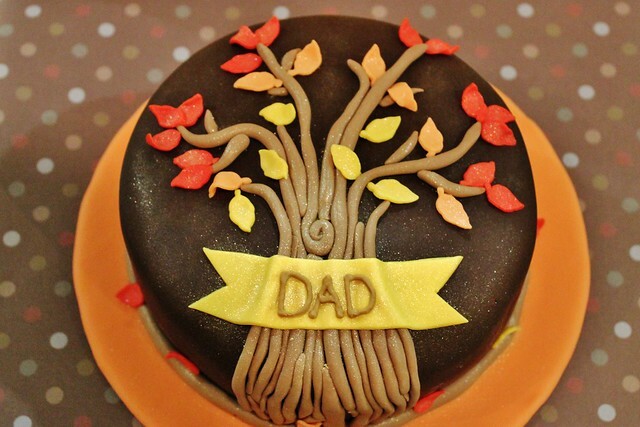 I can't take credit for the design at all because my cake is pretty much a copy of theirs...only theirs is much better! 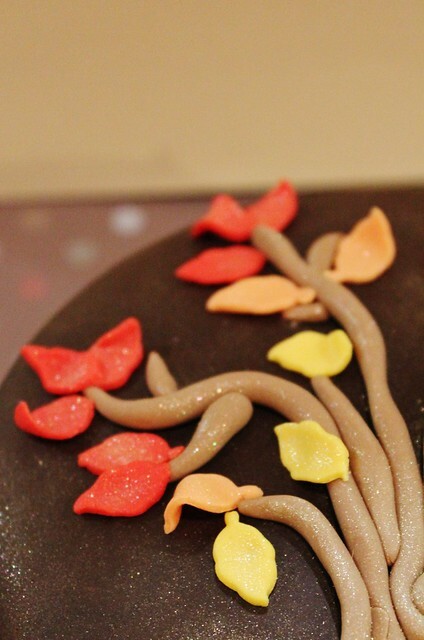 Check out Charmaine's Pastry Blog for the original cake. My friend asked for it to be just four branches which was to represent the members in her family which I think is really sweet. 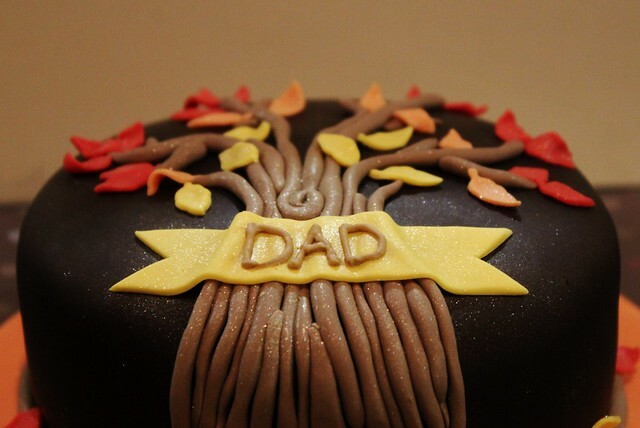 I found out she actually added photos of each of the family to the cake on each branch, how thoughtful is that?! I bet her dad loved the cake! 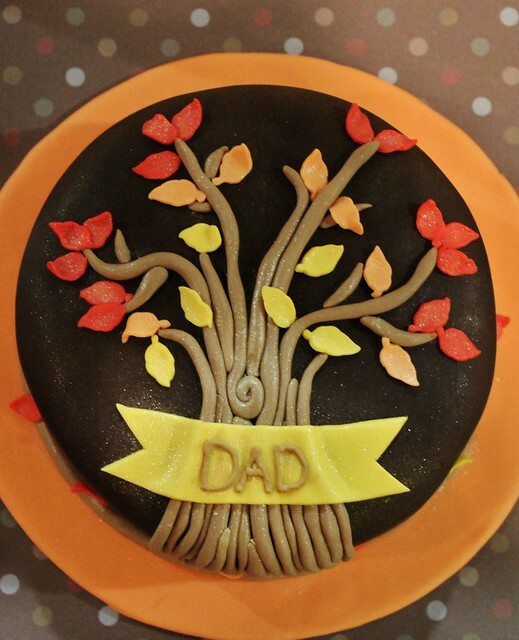 The cake was orange flavoured with orange buttercream and chocolate fondant.